Smoke is hot. Not literally. (Well, sometimes literally, but that’s not what I mean.) Currently, a trend is emerging on the outskirts of the food community, with artisans and small producers, but, mark my words, it won’t be long before it seems like every mainstream, mass-produced product is available in smoked flavor. Just wait. I’m not talking about meat. Smoked meat has been a hit forever. I mean all sorts of other smoked stuff: beer, oil, syrup, spices. The stuff you don’t expect to be smoked. Pretty soon, it’ll be everywhere… and you’ll be sick of it. As for now, let’s enjoy being ahead of the curve, shall we? Today’s smoked oddity is chocolate chips. The brainchild of Autumn Martin, founder of Seattle’s Hot Cakes Molten Chocolate Cakery, who, as a child of the Pacific Northwest, grew fond of smoky flavors early in life due to the abundance of smoked salmon. Later, when she became a pastry chef, she began to experiment with smoking chocolate. Yet later, we reap the benefits. 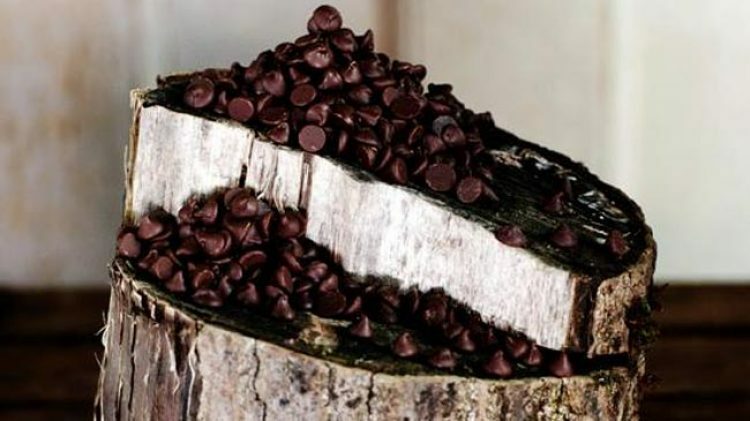 In this case, organic semi-sweet chocolate chips are cold-smoked over alder wood for more than 10 hours, a labor-intensive process that includes moving the chocolate chips every 30 minutes to ensure an even smoke. The result? Chocolate, with a lingering, deep smokiness. As one is want to do when they have chips on hand, and intends to judge the quality of said chips, I made chocolate chip cookies. It seemed only fair. Having, in the past, experimented with bacon chocolate chip cookies, I was actually surprised at how much these reminded me of those. This should not be all that amazing, I suppose, considering both recipe additions are smoked, however the lack of pork fat here would suggest a difference in flavor. Yet they were remarkably similar (at least based on my memory of the bacons). On my first attempt, I used 100% smoked chips. This was not a particularly good idea. Though I did try the chips beforehand, I was worried the smoke flavor would not come through, and I felt it was tantamount that it did. This was a baseless fear. Instead, my cookies were overwhelmed with smokiness. It was as if they were cooked on a campfire. So I went back, tweaked my dough, and on try #2 used a mix of regular chips and smoked chips (I’d suggest starting with a ratio of 3:1), to far more satisfactory results. A wisp of smoked chip adds intrigue and complexity, and adult flavor to a nostalgic, kid-friendly treat. Delicious! Try them with our whole grain chocolate chip cookies with oats & olive oil. You can order these on the Hot Cakes website, or at Dean & Deluca.